Seamus Durack enjoyed considerable success in racing as a National Hunt jockey, being among the top riders for over a decade and regularly achieving 40-50 wins a season from around 400 rides. He gave up race riding in 2010 and started training racehorses from his base in Lambourn from 2011. It wasn't until 2012 that he really got settled into the training ranks and sent out 77 runners and returned a 10% strike rate. That improved further in the following years, with around 100 runners and a strike rate up to 14%. The yard now has around 125 runners a year and Seamus has managed to consistently record 13% winners each season. About 75% are flat runners and the rest over jumps. Seamus is Irish born, and retains a soft Irish accent even though he has been resident in the UK for most of the last fifteen years. However, he often visits home and will buy horses from the Irish sales. Seamus stated "I'm delighted to work with Ownaracehorse. They have brought me a couple of very nice horses in the first place and hopefully if we can score with them, there will be more to come. We don't have hundreds of horses in training - so I ride out myself and have a very close working relationship with my team. I live on the yard, so if any of the horses as much as sneeze, I'm out there - and every horse gets personal treatment." 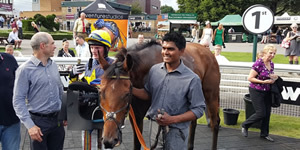 He added "I've only been training for a few years, but we have managed to get a good number of winners, and we have a good number of decent horses on our books. I am constantly looking for quality rather than quantiity with my horses and would rather have one really good one to train than half a dozen very moderate horses." Seamus is a great host, and shareholders will be able to see this for themselves at the yard visits we organise at the yard. 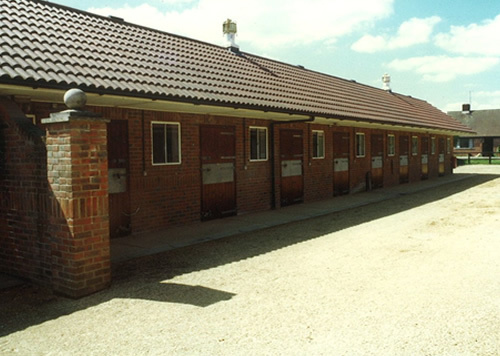 The Seamus Durack training yard is based in High Lambourn, just outside Lambourn village in Berkshire. Seamus has on average about 30 racehorses in training at any one time and he has runners on the flat as well as over fences. The yard is has over 30 boxes in a purpose built horseracing yard which is set in quiet surroundings off the main road. He has a walker and plenty of turnout available for his horses, and the Lambourn gallops are only a matter of minutes away and can be walked in around 15 minutes. He is well placed to send horses all over the Midlands and the South, with over 20 racecourses within an hour or so from his yard. He regularly send horses to the London area tracks as well as to the South coast. He trains jumpers as well, and makes good use of the courses in the South West and also into the Midlands. Two stable visits organised per year. they tend to be in Spring (March-May) and Autumn (September to November). Ad-hoc drop-in days may also be run during the summer months.